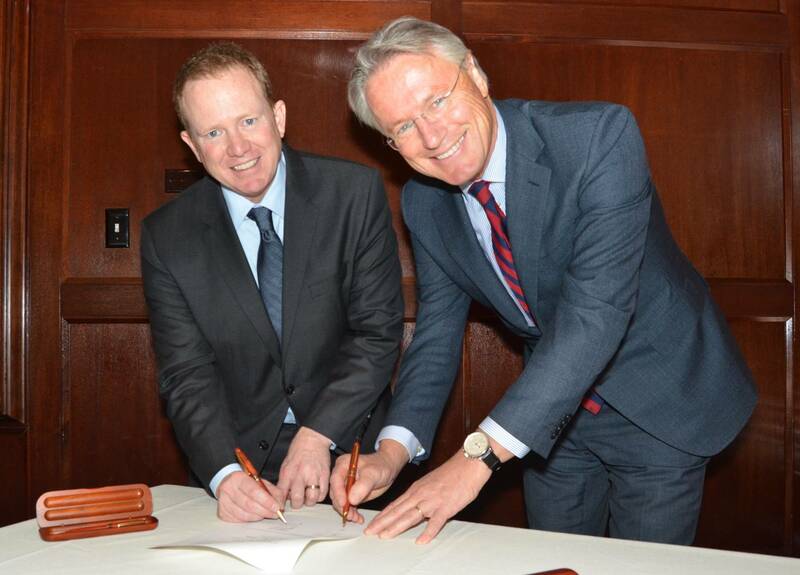 Another Milestone For LNG Powered Ships In The U.S.
John Parrott, President of Totem Ocean Trailer Express and Björn Rosengren, President & CEO of Wärtsilä Corporation. TOTE conversion with Wärtsilä engines and LNGPac systems. The U.S. continues to lead the push towards "LNG as Fuel" in the commercial shipping sector, as these 'historic' announcements are now becoming more routine. 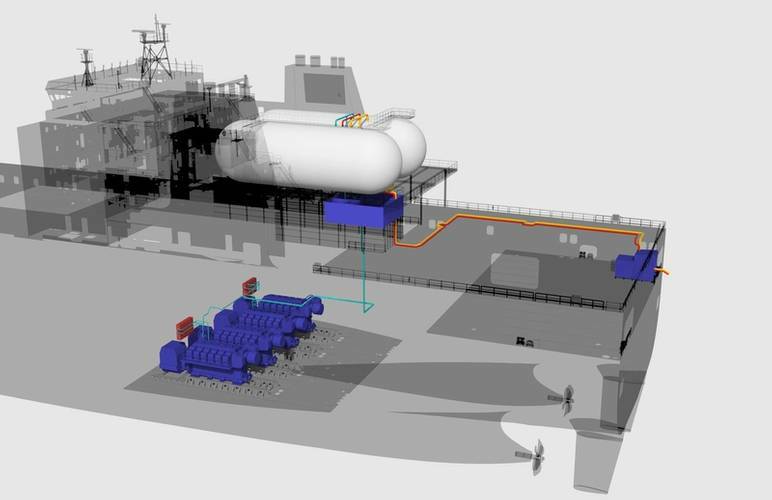 Totem Ocean Trailer Express (Totem Ocean) announced that Wärtsilä will supply main engines, generators and integrated LNG storage and fuel gas handling systems (LNGPac(TM)) for the largest LNG conversions ever undertaken in North America. In making this decision John Parrott, President of Totem Ocean, cited Wärtsilä's proven technology as a deciding factor in selecting the company. Mr Parrott emphasized that "maintaining reliable, on time service is critical to Totem Ocean's customers as well as the economy and citizens of Alaska." The contract was signed in the Q4 2013, and executives from both companies met on February 17, 2014 in Tacoma, Washington to announce the project. "Today marks the beginning of a long relationship between our two companies," said Parrott. 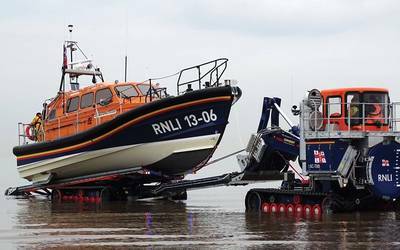 "Our relationship will outlast this project to extend over the 35-plus year life of our vessels." 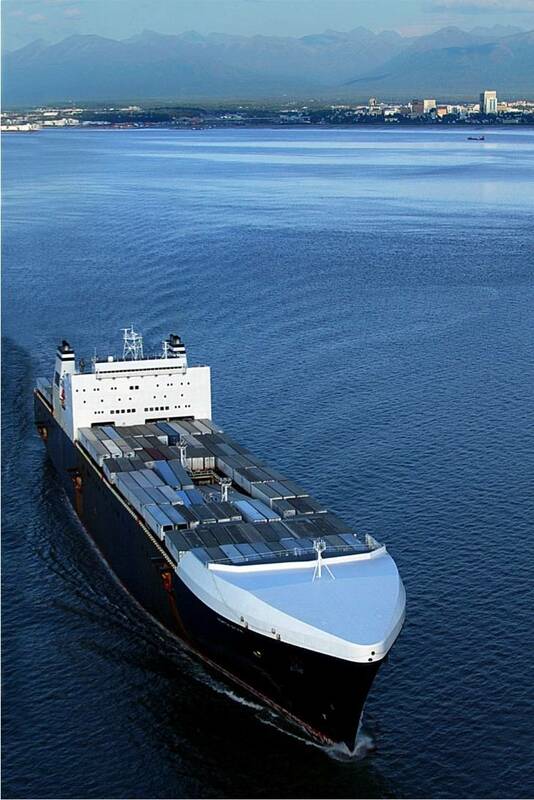 Totem Ocean's fleet of two Orca Class roll-on/roll-off cargo ships - M.V. Midnight Sun and M.V. North Star transport about one-third of all the goods required by the inhabitants of Alaska. Cargo includes essential items such as food, household goods, vehicles, construction materials and military supply support. As a result of the conversion, the Totem Ocean vessels will set new standards for environmental responsibility by reducing sulphur oxide (SOx) emission by 100 per cent; particulate matter (PM) by 91 per cent; nitrogen oxide (NOx) by 90 per cent; and carbon dioxide (CO2) by 35 percent. "It is an unprecedentedly exciting time to be in the maritime industry. Economic constraints and the need to comply with environmental legislation have combined to accelerate the switch to LNG fuel. Wärtsilä is uniquely positioned to enable this transition since we have been a leader in developing the appropriate technology for nearly 30 years. We look forward to working with TOTE on converting the Midnight Sun and North Star to LNG so that they can realize the benefits that LNG as a marine fuel can provide," says Björn Rosengren, President & CEO of Wärtsilä Corporation.